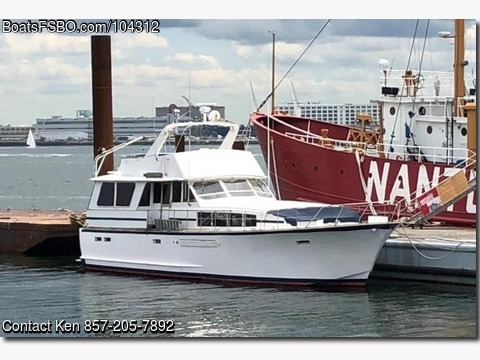 Boat is located in Boston,MA.Please contact the owner @ 857-205-7892 or granite20@hotmail.com...Classic Liveaboard cruising vessel. Built by quality well know company. 1974 Chris Craft Roamer, 60 ft.
Welded alum hull,built in Holland Mi,one of 7 of these built. powered by 1271 Detriot turbos. beautiful wood. lots of room,3 staterooms plus crew quarters, 3 heads, galley, salon with beautiful bar, formal dining room.